The small yet ambitious Dutch supercar company Spyker has revealed the production version of its B6 Venator, which is planned to go into production in 2015. A concept version of the Venator, which is Latin for “hunter”, was introduced at the Geneva Auto Show in 2013, and a convertible Spyder version was shown at the Pebble Beach Concours d’Elegance. Both concept vehicles were based on the German Artega GT. 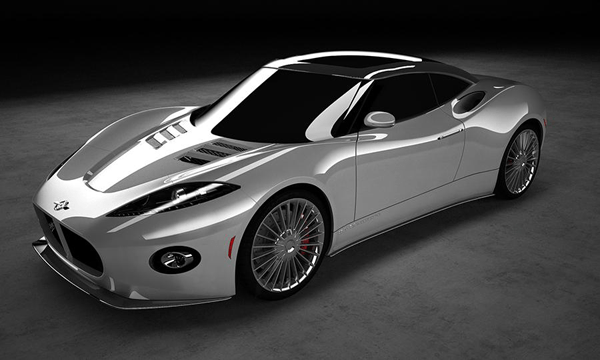 Spyker promised to have the Venator production ready by now, they decided to make some last minute changes to the compact sports coupe, although the delay will undoubtedly also be related to the need for a capital injection into the company. Being a passenger is almost always scarier than being the driver, especially for people who are used to being in control. Like for example, other racing drivers. So it should be fun to see what happens when you put a racing driver in the passenger seat while another racing driver makes a hot lap round a circuit. In case of Darrell Waltrip and David Coulthard, it makes great video’s. But it’s not only fun with other drivers in the passenger seat. You’d think that someone who’s married to a racing driver is used to a bit of fast driving, but apparently not all wives are entirely up-to-date on how quick their husbands really are. Turn up your volume while listening to Mrs. Patrese, Mrs. Farfus, Mrs. Barbosa and grandma Gené scream their lungs out. Journalists usually prepare themselves before an interview, making sure they are familiar with the background of the person they’re about to meet, to avoid making a fool of themselves. But Barbara Schöneberger, Dominic Littlewood and even Top Gear’s Jeremy Clarkson appear rather shocked by the speed at which their being driven around by drivers of whom you’d think are known for their ability to go fast.